Prominent & Leading OEM Manufacturer from Chennai, we offer sigma mixer, ss sigma mixer, ss cage mill, triple roll mill and cage mill. Sigma Mixer Effectively mixes solid and liquid constituents to the homogeneous dough. Specially designed Z Blades provide criss-cross material flow for effective. The trough is reinforced by MS Channel & side Plates to with Stand Heavy Load. Z Blades are of cast SS 304 & X-Ray tested to Withstand Heavy Mixing Load. Sigma mixer is a heavy duty mixer designed for dough mixing which is essential in the soaps, detergents, foods, rubber, chemical industries etc. The Z arm or Sigma blade is designed for uniform mixing and crisscross flow of materials. The mixer is supplied with the jacket or without jacket as per the requirement of the customer. We supply in different capacities with fully SS, Partly SS and fully MS constructions.Discharge is by hydraulic door opening system or through screw rod system. 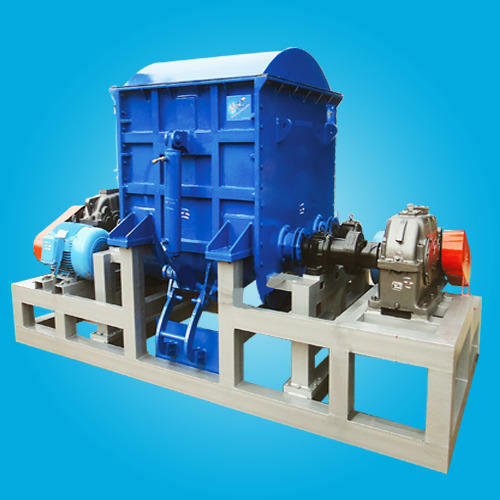 Heavy duty gearbox and gears are used to withstand high viscous mixing. Sigma blades are solidly cast, machined, x-ray tested before fitting. Minimal uniform gap is maintained between the trough and the blades. Sigma mixer is a heavy duty mixer designed for dough mixing which is essential in the soaps, detergents, foods, rubber, chemical industries etc.The Z arm or Sigma blade is designed for uniform mixing and crisscross flow of materials. The mixer is supplied with a jacket or without jacket as per the requirement of the customer.We supply in different capacities with fully SS, Partly SS and fully MS constructions. 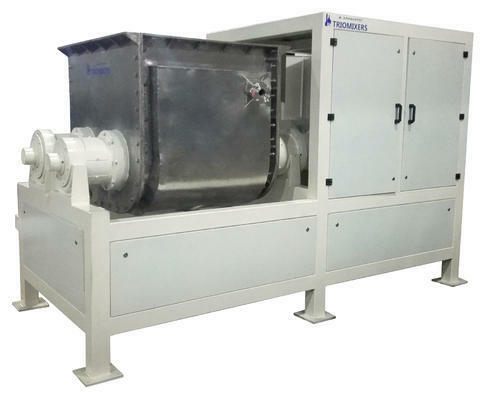 Discharge is by hydraulic door opening system or through screw rod system.Heavy duty gearbox and gears are used to withstand high viscous mixing.Sigma blades are solidly cast, machined, x-ray tested before fitting.The Minimal uniform gap is maintained between the trough and the blades. We are an honored Cage Mill Manufacturer in the industry, based in India. The cage mill machine offered by us is also called Super Silver. It can crush, grind, pulverize and blend powders/abrasive materials. 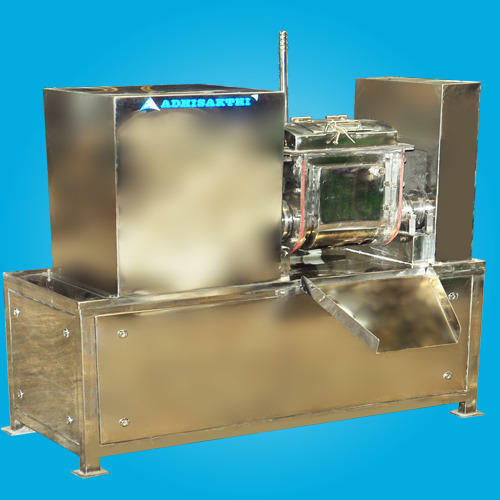 The high-performance cage mill machine can pulverize the powder and sticky material to a homogenous mass. It can also break the lumps from the powder mass that discharges from the blender. The cage mill equipment is beneficial in the manufacturing of detergent powders, food products, industrial chemicals. pesticide powders and pharmaceutical products. We strive to sustain the trusted position of a top 'Triple Roll Mill Manufacturer' from India, with our hard work and highest quality standards. 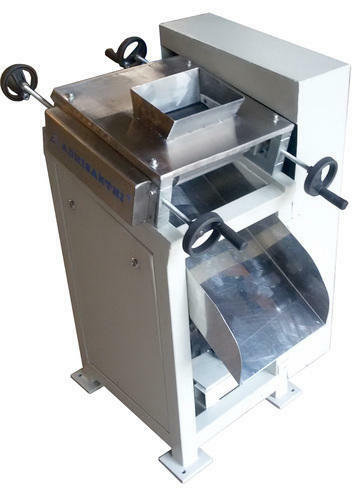 Triple Roll Mill Machines are used for milling, refining, homogenous, flake thick paste material to thin sheet forms. Few of the application areas of this mill are industries that demand fine smooth finish, with the absence of gritty substances. 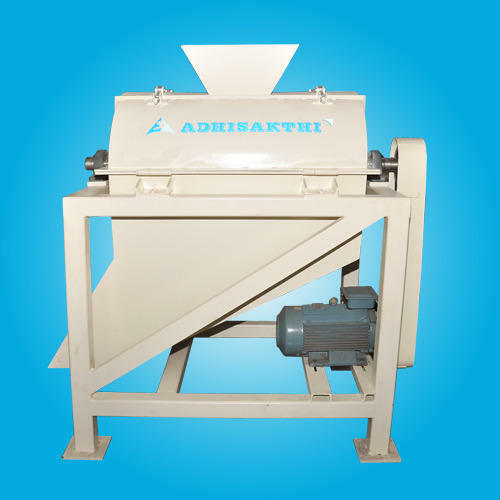 Depending on the requirements of customers, we ADHISAKTHI can manufacture triple roll mill machines with SS constructions or chilled cast steel rolls or both. Rexroth coupling at the roll sides is also provided. This ensures chilled water circulation into the rolls. 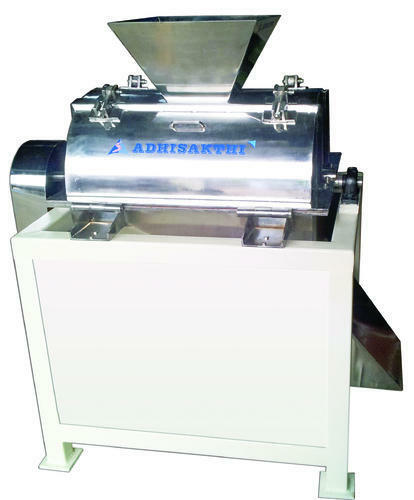 Looking for “Soaps & Detergent Processing Equipments”?